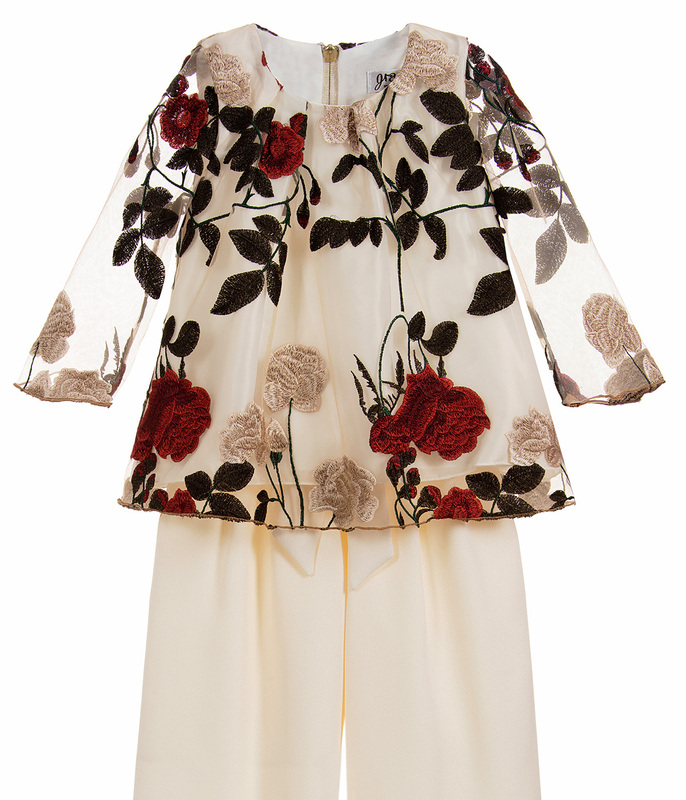 Gorgeous special occasion ivory top and trousers set for girls by Graci. 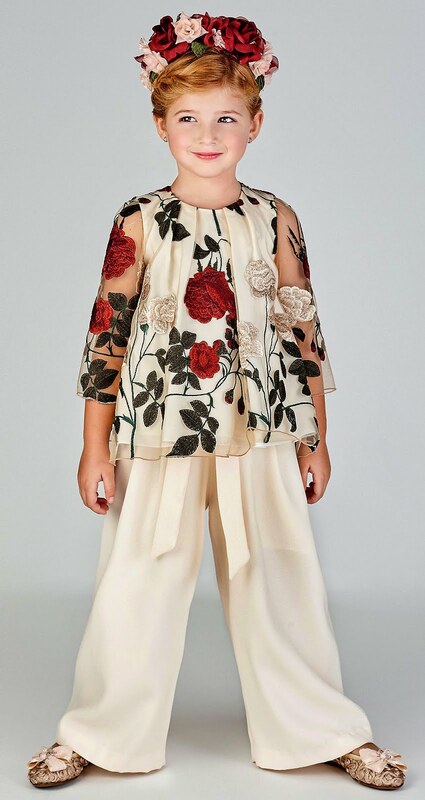 Made of silky satin and covered in soft tulle, the blouse is beautifully embroidered with red and beige roses.The crêpe culottes have a part satin lining, with an elasticated waist and sash tie. A charming pink dress by Graci, made in tiers of sparkling tulle with a gold appliqué rose on the front. 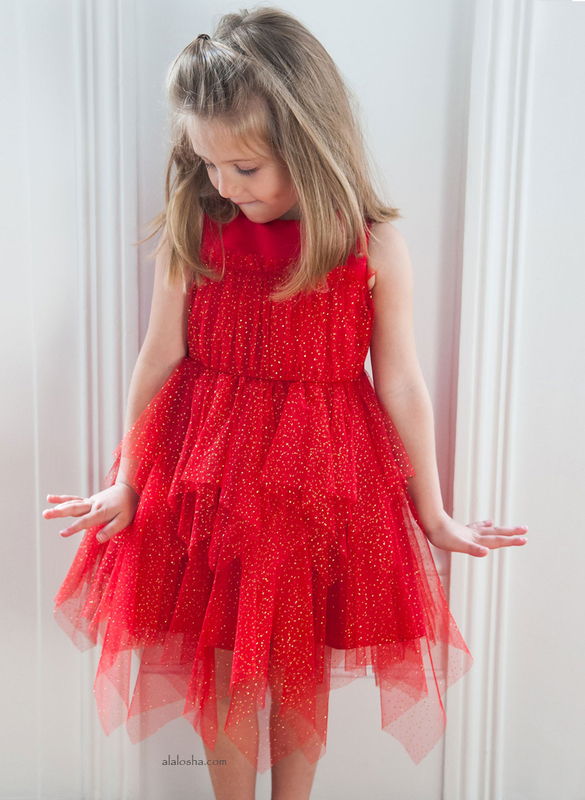 It has sheer bell sleeves and stiffened tulle underskirts, with a soft poly cotton lining. A beautiful floral embroidered tulle dress by Graci, in a pretty shade of peach, with a colourful bead and diamanté detail. 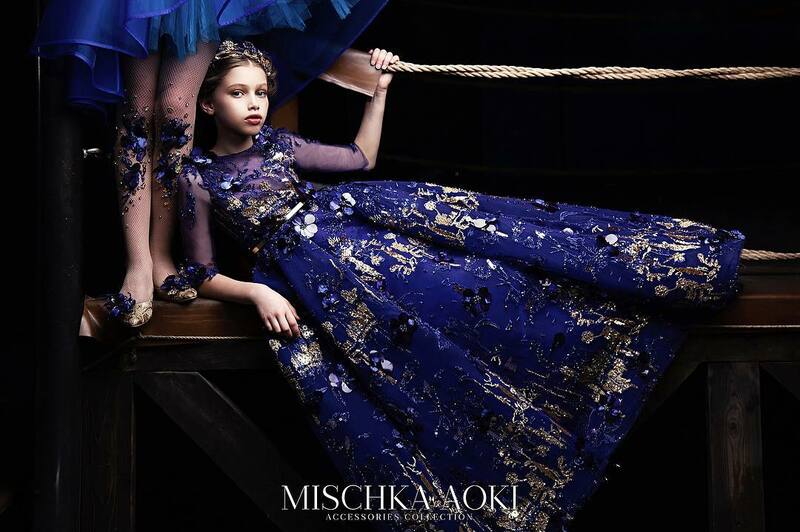 In a layered style, it has a soft tulle skirt over silky satin and further tulle frills attached to the cotton lining for extra volume. 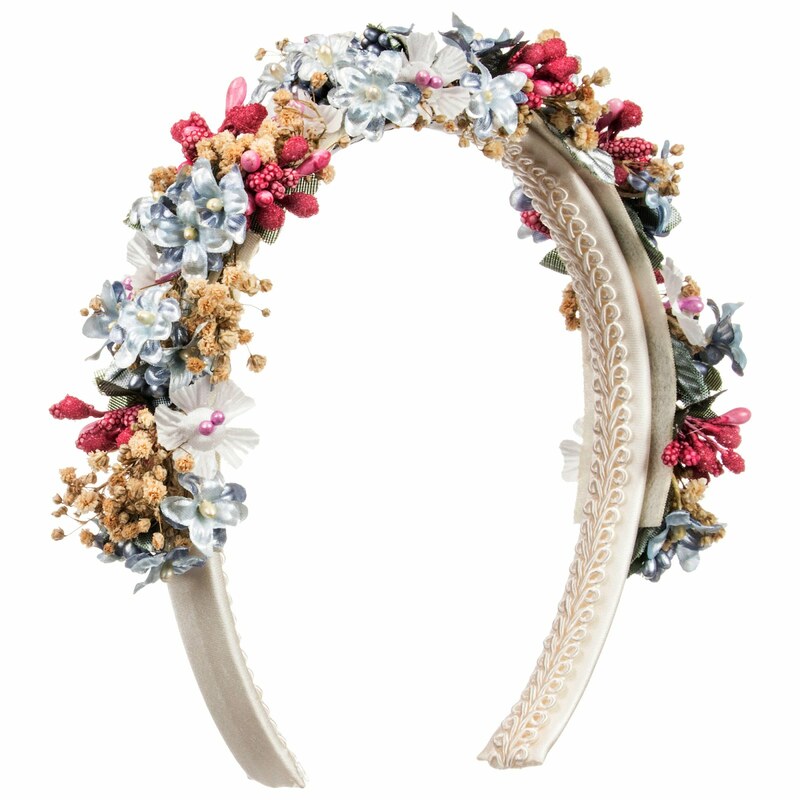 A beautifully handmade hairband for special occasions by Graci, decorated with beautiful tiny flowers in pale blue, white and beige with pink buds. The ivory polyester satin covered hairband has braid trimming inside for extra grip and a comfortable fit. 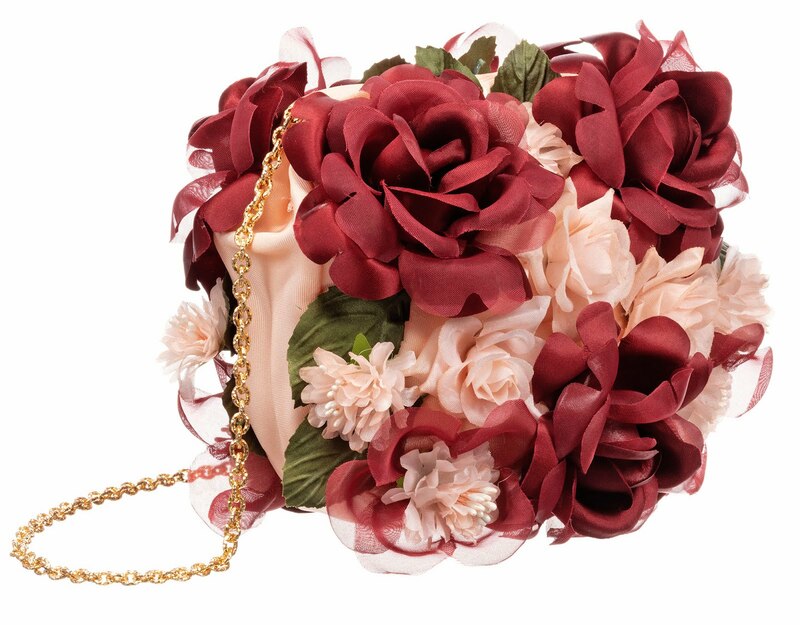 Semi-round pale pink bag, with exquisite pink, red and green floral appliqué. An elegant bag for special occasions, it has a delicately carved gold chain strap and a concealed velcro fastening.